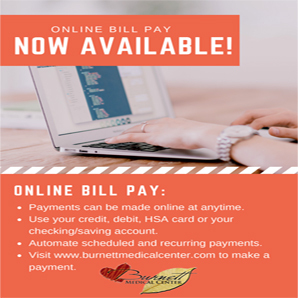 When you or a loved one are confronted with an emergency, Burnett Medical Center's Emergency Department is open to care for you 24 hours a day, seven days a week, with nurses and providers who are specially trained in emergency care. Because a visit to the Emergency Department can be a stressful, unfamiliar experience, the following information will help you understand what to expect while you are here. Whether you arrived by ambulance or private vehicle, you will be assessed to determine what treatment you will need. A registered nurse will do a triage assessment and a medical history. You can expect to be asked about your level of pain or discomfort. Please do not eat or drink anything as doing so may interfere with your treatment. The most ill or severely injured patients are seen first, regardless of when each patient arrives. This is why you may observe some patients who arrive after you being treated before you. If a room is not immediately available, you may be asked to sit in the waiting room area. To help us with your treatment, staff will ask you to provide your name, date of birth, primary care provider's name, insurance information, and current health problems and medications. After you are brought to an examination room, you may be asked to undress and put on a hospital gown so that the provider may do an exam. You may be attached to a monitoring device so that we may continually monitor your vital signs. The emergency physician, nurse practitioner or physician assistant who sees you is a highly skilled professional. The provider will review your medical history and perform a medical screening exam to determine the most appropriate treatment plan. The provider may order tests or x-rays to help determine what treatment is best for you. Other members of the emergency care team, including lab technicians and radiology technicians, will perform these test(s) ordered by your provider. Obtaining results of tests/x-rays may take time. As soon as your results are available, the provider will discuss the findings with you. Occasionally, additional testing may be necessary. Depending on your particular condition, your treatment may be simple or complex. The treatment may consist of splints, bandages, IV's, or medications. It may take a few minutes or several hours depending on your illness or injury and the presence of other critical patients. The provider will determine if you are to be discharged from the ED, admitted to the hospital, or transferred to a higher level of care. The provider may speak with your family physician or other specialists about your treatment. If you are discharged home, the nurse will explain your discharge instructions and prescriptions, and answer any questions about your care or treatment. If follow-up care is needed, we are able to assist you with scheduling appointments. If you are admitted to the hospital, an ED staff member will help you to your room. If you are transferred, your medical condition will determine if you travel by ambulance, helicopter, or private vehicle. The InstyMeds machine is available in the Emergency Department for patient convenience. InstyMeds is a medication dispenser that allows patients to fill prescriptions before leaving the Emergency Department, eliminating the need to wait to get them at a pharmacy. A debit or credit card is required to pay for the cost or co-pay of the medications. If you have any questions or concerns during your visit, please ask. 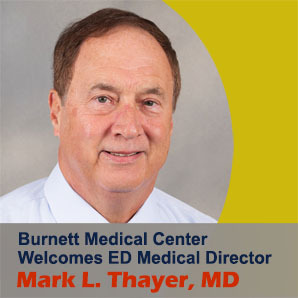 As your Emergency Department Team, we are here to provide quality, compassionate care. 257 W. Saint George Ave.